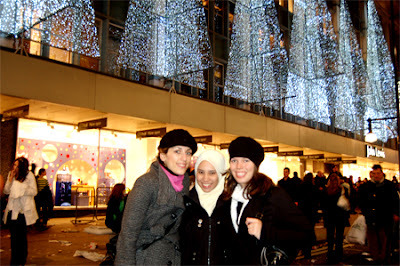 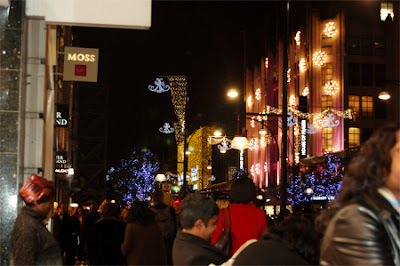 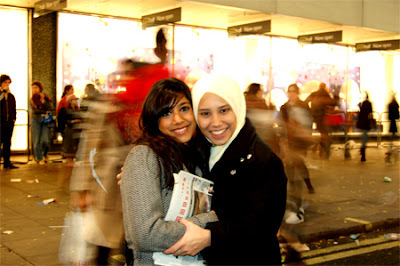 Hana' Fedora: Have an Enchanted Christmas in Oxford St.
Have an Enchanted Christmas in Oxford St. 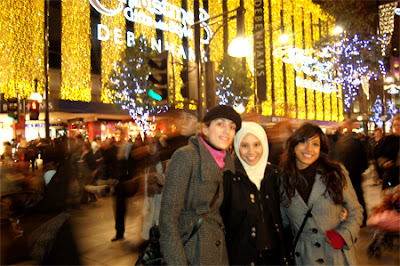 The 4 of us(me and my housemates of course) went out on thursday night to see the christmas light in regent street being magically(thats what people said) lite up..kryhsna was soo excited..well we're all are..we took the tube via london bridge,arrived at half past 6...And then there they are being lit up already..there was yellow confetti all over bond street. 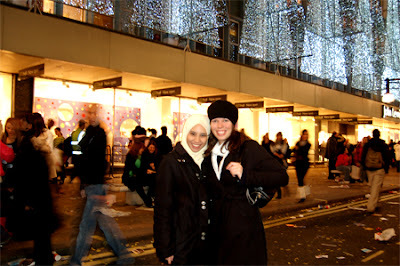 hehe gumbira2.there was one double decker bus that is full of photografer..nk naik jugakkk..hehe.. i thot it was too early to have a christmas light being put up..but kryshna said no..usually the spirit starts as early as september..ramainyeee orang kt regent,oxford,bond street..shopping for christmas perhaps..mmm we took some pictures but too bad d50 ran out of battery..n went for window shopping..i'm broke so jangan berangan lah nk shopping...haha half past 9 we were already at home..
tak pun bli battery grip..